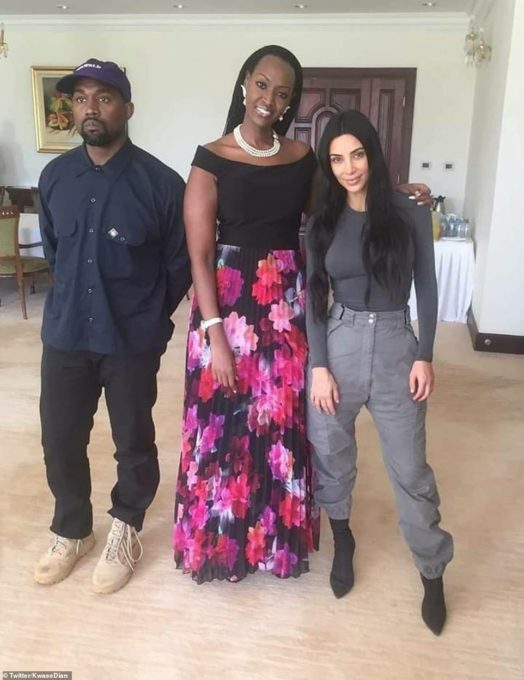 Kanye West is currently in Uganda where he said he will be for about two weeks to record for his upcoming album Yandhi. The couple is staying at the Chobe Safari Lodge in Murchison Falls National Park but they decided pay a visit to the Ugandan President, Yoweri Museveni earlier today (Monday). They discussed tourism and promoting Uganda’s arts, the president himself revealed on Twitter as he shared photographs of the get together and thanked Kanye for gifting him a pair of Yeezys. President Yoweri Museveni said they had “fruitful discussions” about promoting tourism and art. Kanye chose not to rock his favorite “MAGA” hat during the meeting as you can see from the pictures. Also present for the meeting were Muhoozi Kainerugaba, Uganda’s Major General and Senior Adviser to the president, and Museveni’s daughter Diana. 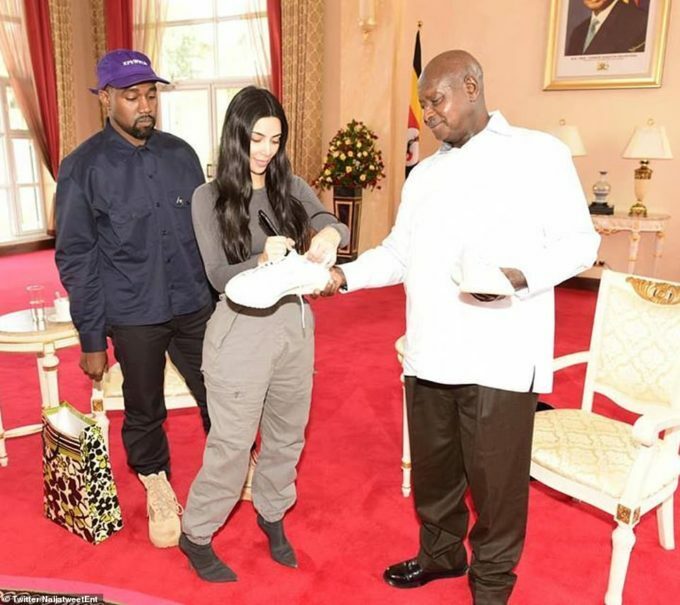 #KanyeWest & #KimKardashian meet Ugandan president and present him autographed #Yeezys.